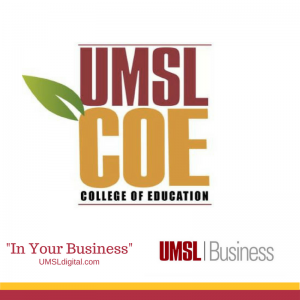 “In Your Business”, a podcasting series by UMSL Business, continues to feature people, who are experts in their fields, discussing issues the audiences can relate to. In a recent podcast, UMSL Business Interviewed Dr. Carl Hoagland and Mr. Tyler Beffa. Dr. Hoagland is a former Emerson Electric Company Endowed Professor in Technology and Learning, Director of Technology for the UMSL College of Education and Co-Director of the Bachelor of Educational Studies (BES) program. As for Tyler, he is a BES student at UMSL, who is taking a business course at the College of Business as part of his program. At the beginning of the interview, Dr. Hoagland explained that the Bachelor of Educational Studies program was originally developed in 2007, but was renewed in 2013 with some modifications. The program is basically aimed at students who want to pursue a career in education, but do not want to work in a traditional classroom setting. The program offers four emphasis areas, such as Youth and Adult Development, Park & Museum Programs, Exercise Sciences and Wellness, and, finally, Early Childhood. 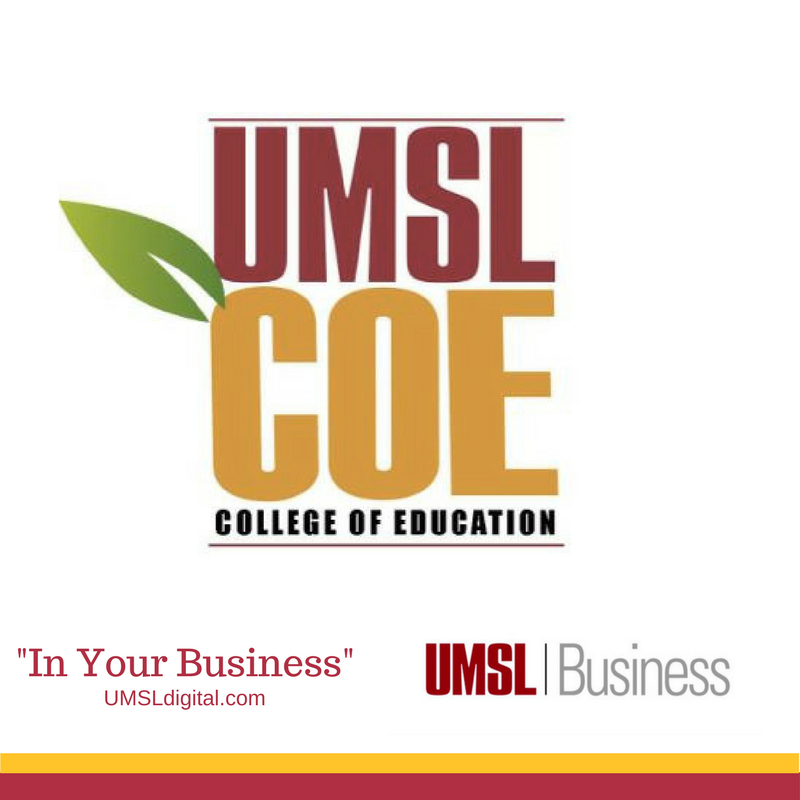 The fifth track, Social Entrepreneurship, is currently being developed in collaboration with UMSL’s College of Business Administration. Being a current BES student, Tyler stated that his choice of UMSL, in general, was based on the affordability of the programs offered at the university. As for the BES degree, Tyler has always wanted to pursue a career in informal education, and the BES program turned out to be a perfect fit for him. Other education programs are traditionally focused on formal teaching, whereas BES helps students to obtain a broader understanding of education and prepares them to work in various agencies: Students acquire different skills applicable in many educational settings, from educating and working with kids, youth and adults, to management and marketing skills and writing grants. During the interview, Dr. Hoagland stressed the importance of taking business courses for the BES students. He explained that understanding how businesses operate and having some business skills, such as creating a marketing or social media strategy, putting together a small budget, and managing others is essential in the informal ed agency setting, where the majority of the BES graduates work. A business background is beneficial for many graduates, even for those who do not intend to work in the for-profit organizations. Tyler is currently taking a Social Media Marketing course with professor Dr. Perry Drake. He stressed that even in education all stakeholders such as parents and special education teachers should understand and support the significance of social media in the contemporary society and be able to keep pace with the new technology to embrace its benefits. Tyler stated that the course he is taking aided him in understanding how to build social media strategies as well as how to develop a social media presence for an organization. He further explained that utilizing such platforms as Hootsuite in class helped him to learn how to manage and schedule created and curated content on various social media profiles. Dr. Hoagland, in his turn, justified the benefit of taking a social media marketing course for non-business majors by giving an example of Edison Research that estimated that 81% of the American population has social media platforms, which stresses the need to understand social media. The interview, in general, was very informative in terms of explaining and justifying the need for various non-business majors to take business courses. Possessing business skills and understanding business processes gives an edge to students of non-business majors while looking for jobs after graduation. Go here to listen to the complete interview.